After binding your coverage, the insurance carrier(s) providing coverage have the right to inspect your premises and examine your financial records. Many companies don't, but many do, mainly so that they know the risk they were presented on the application accurately reflects the actual risk they are now covering. Companies actually have the right to inspect your property and records at any time and as often as they want. Typically though, one inspection is done after coverage is first placed, and future inspections are done every 2-3 years after renewal. Contrary to what some believe, the companies and their inspectors aren't just there to snoop on you. In providing coverage to you in exchange for the premium you pay, they have taken on a transfer of risk and they sincerely want to help you minimize the risk your business presents. Inspections are meant to be mutually beneficial. You hopefully find ways to avoid or reduce the liklihood of having your business disrupted by some of the more avoidable perils you face, and the company reduces the chance that they'd ever have to investigate and settle certain types of claims. 1. A company inspector will almost always call to set a date and time to meet with you. If, after a few attempts at setting a meeting, the inspector cannot make an appointment your company will issue a cancellation notice for 30 days. 2. We strongly advise that you personally meet with the inspector. They will probably ask some questions that your staff will not be able to answer for them, or your staff will offer responses that are misinterpreted by the inspector. Allow them full access to your premises and don't leave mid-inspection or try to run them off before they've finished. Doing so will almost guarantee you of getting an unfavorable inspection. Be as helpful and courteous as possible. 3. Have your premises as clean as possible. Housekeeping is a big concern with inspectors and a disheveled bar, kitchen or dining room can taint the overall impression of your establishment in the inspector's mind. If you can, set the inspection for one of your less busy times of day. 4. Have your financials for the last 12 months available. This could be your actual sales tax return (ST-1) forms, a report from Quickbooks (or other similar types of accounting software) or a report prepared by your bookkeeper, if you use an outside firm. The inspector will want to double-check the total sales and breakdown that your agent reported on the application. 5. They will probably double check your liquor license (if you have liquor liability) to ensure that the business they have listed on the policy matches the business that is licensed for operation. 6. They may also check for property tax filings (if you have property coverage) to make sure the property policy protects the person or entity that actually owns the building. Depending on your state and your type of business, you could have a host of inspectors from various state agencies popping in to survey your premises - Liquor Control Commission, Gaming Board, Industrial Commission, Department of Health, OSHA, you name it. Most all of these inspectors have the right to show up at your business whenever they want and are allowed access to whatever they want according to most state laws. They don't want you to know they're coming. Failure to comply with them could result in you or your staff being arrested and/or fined. Here are some tips to be prepared for a visit from these government agencies. Your liquor license must be framed and hung "in plain view, in a conspicuious place" on the licensed premise. In states where dram shop/liquor liability coverage is mandatory (IL & IA, but not MO or IN) they will look for proof of insurance. The most common forms being your policy itself or a certificate of insurance. You are required to keep liquor receipts for the last 90 days on premises - they will want to see these. Alcohol cannot be purchased via retail, it must be bought through wholesalers (distributors). They will go through your stock and your receipts looking for evidence of resale of retail goods. Inspectors may also look for evidence that you are violating Happy Hour laws (not posting/adhereing to posted specials and hours, no price sheet by register), offering impermissable drink specials, closing by the time indicated on your liquor license, and aren't violating any law on overserving patrons (only one drink can be served to one person at a time). Illegal gambling has been a subject of a number of stings in many states. They'll search for a record, logbook or advertisement of payouts on gaming machines and the like. Now that Illinois has adopted legal Video Gaming, state inspectors will be looking for the older, now outlawed "grey" machines. The industrial commission handles Workers Compensation issues in your state. Workers Compensation is mandatory except in a few instances. Inspectors will want to see proof of insurance - either in the form of a policy or certificate of insurance showing Work Comp coverage. Inspectors will also look for certain required postings regarding Workers Compensation, namely, a poster to employees in a consipicuous area alerting them that your business has Workers Compensation coverage they can rely on if they suffer work-related injuries. In Illinois, most bars, restaurants, hotels and many other hospitality businesses are now required to have Human Trafficking posters as well. You must have the English/Spanish version, as well as a third language of your choice. The website linked there has several versions of the posters and the Illinois Department of Human Services has additional language posters (and a better explanation of the Act) on it's website here. We've heard from several sources - clients and various associations - that various inspectors have also been looking for missing "required postings" during their inspections. Minimum fines are $500. Here's a link to the Illinois Department of Labor's webpage on the various posters you may need to have (depending on business type and number of employees) and where to get them. Here's the link to Indiana's webpage. And here's Missouri's required postings. Click here for info on other types of businesses and properties we insure. Click here for information on coverage we write for individuals and families. 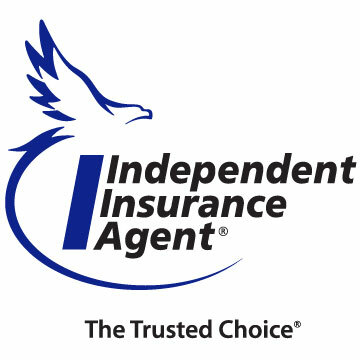 Bret Dixon Insurance is a Trusted Choice Agency. Read more about the distinction of being a Trusted Choice insurance agent and why you want to choose one to handle your coverage.